This post is sponsored by Simple Mills. As always, all opinions are my own. Simple Mills products are available on Amazon. Thanks for supporting the brands that keep Lively Table running! Homemade pizza is one of my favorite meals to make at home, but I rarely do it. I love that you can top your pizza with anything and everything, from tons of fresh veggies and unconventional toppings for me, to a classic pepperoni and onion (for my husband). 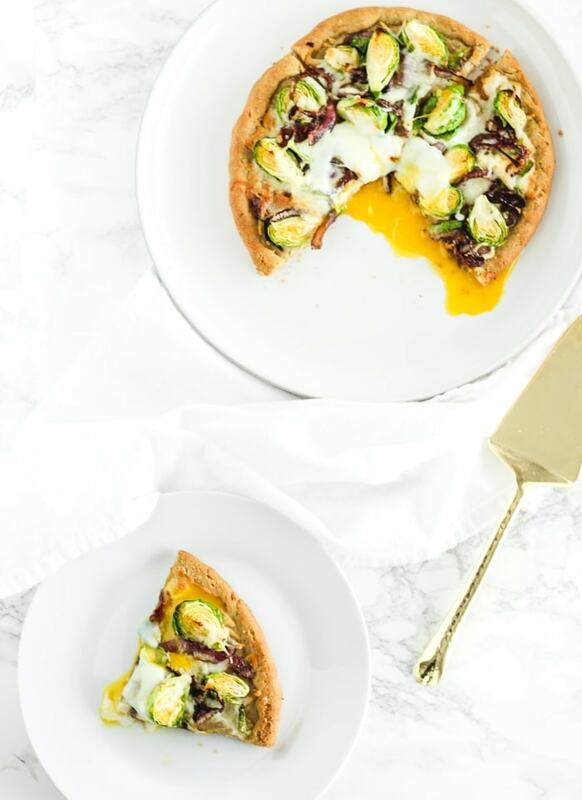 Homemade pizza is a great way to add plenty of nutritious toppings while still enjoying a delicious pizza night at home. So why don’t I make homemade pizza more often? I ask myself that question every time I make it. I’ve decided it’s mostly because making pizza crust is a pain. It’s so messy and hit or miss on whether it will turn out how you want it. But store-bought crusts can be filled with questionable ingredient and taste not-so-good. The solution? Simple Mills Pizza Dough Mix! It’s easy to make, contains only a few simple, real-food ingredients (like almond flour and flax seeds), and tastes delicious. It’s also gluten-free and grain-free so you can make a paleo-friendly pizza if you want. Y’all know that I love my gluten, so a gluten-free crust isn’t my priority for pizza making, but this Simple Mills mix makes making a homemade pizza so easy that I honestly don’t miss traditional crust. And it tastes so good! 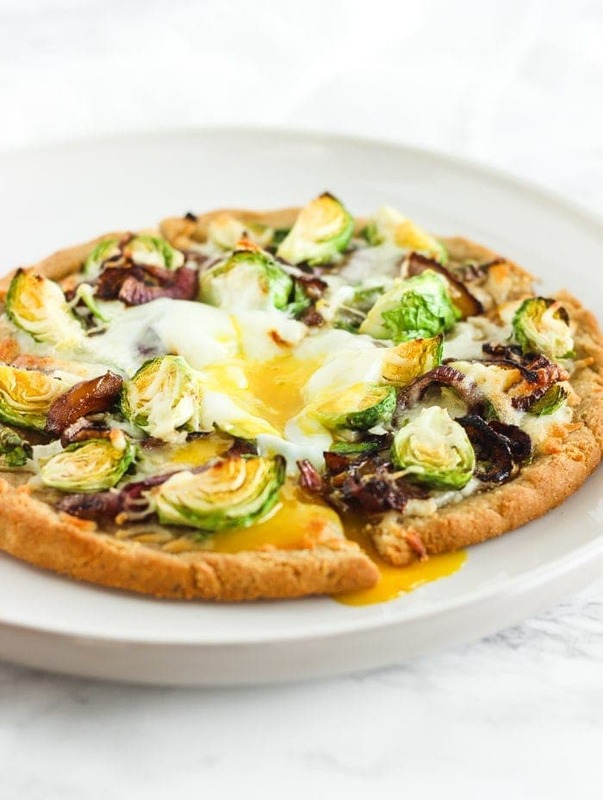 I topped my ‘homemade’ crust with my favorite veggie combination – brussels sprouts and caramelized onions. 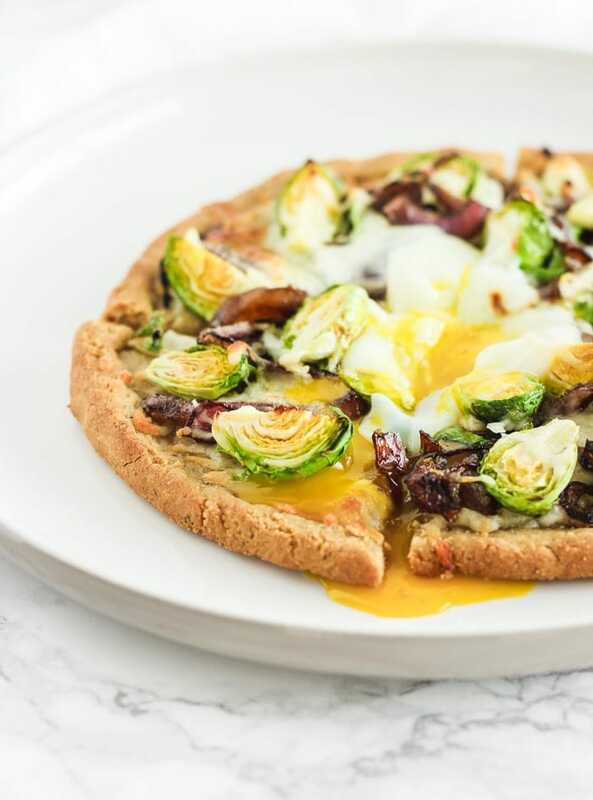 Finished off with a runny-yolked egg, this caramelized onion brussels sprout pizza is my perfect pizza! I get a serving of vegetables, dairy, and protein all in one delicious pizza. My favorite part, though, is how easy it is to put together. It took me less than 30 minutes, making it a great option for a weekend breakfast, quick dinner, or hot lunch! 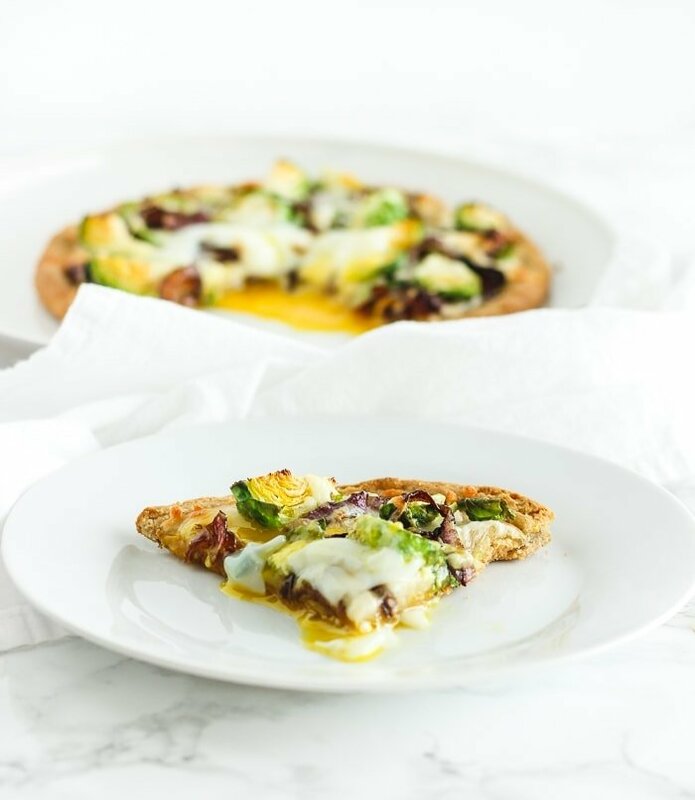 To make this caramelized onion brussels sprout pizza dairy-free and paleo-friendly, simply substitute the cheese for your favorite dairy-free alternative, or leave it off entirely. 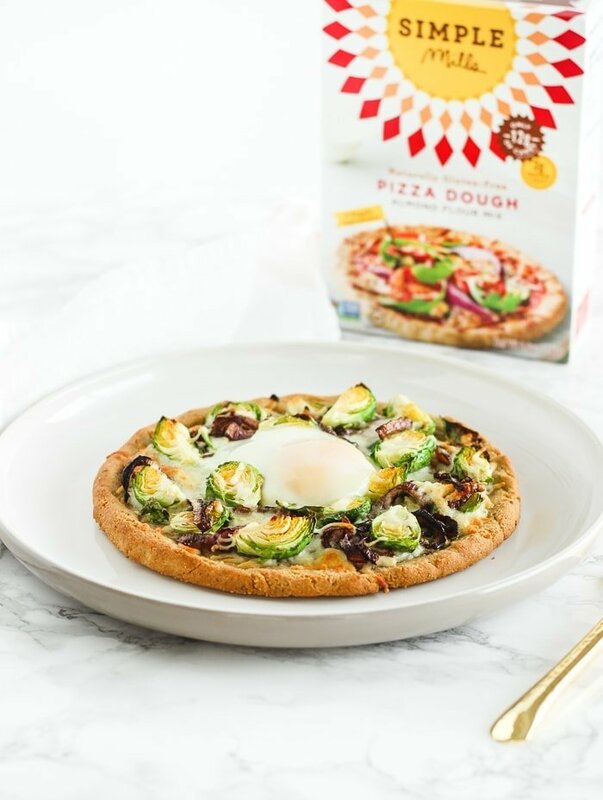 With all the delicious toppings and a perfectly crispy crust, you’d never know that this pizza is healthier and so easy! Place a pizza stone (or 2 if making 2 pizzas) in the oven to preheat. Heat oven to 350°F. Prepare Simple Mills Pizza Dough according to package directions. Divide dough evenly into two portions for two smaller pizzas or leave it as one larger portion for a larger pizza. Press in out into two 8″ circles or one larger 12″ circle on parchment paper. Place parchment on preheated stone and bake at 350°F for 5 minutes. Meanwhile, heat 1 tsp of the oil in a small nonstick skillet. Add sliced onion and cook over low heat, stirring, until onions are caramelized, about 8-10 minutes. Add vinegar to onions and stir to coat. Remove from heat. Cut brussels sprouts into evenly-sized halves or fourths. Smaller sprouts can be halved, while larger ones should be fourthed. Remove crust from oven and turn oven up to 425°F. Brush remaining oil over crust. 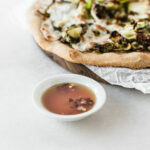 Top evenly with cheese, brussels sprouts and caramelized onions. Place back in the oven for 5 minutes. Remove from oven and carefully crack one egg in the center of each pizza (or two eggs for one large pizza). Return to the oven and cook until eggs are set and yolks are at desired firmness, about 8-10 more minutes for runny yolk. Remove from oven and slice.